Have an itch to change jobs? Is that little voice telling you it’s time to take a leap? Feel like you’re running out of time? When you find yourself daydreaming at work or dreading Monday morning as the weekend ticks by, get inspired by these four locals who have made a later-in-life career change – and are thriving because of it. Their common thread – pursue your passion and take chances. “So many people go to work every day and complain about their job,” says Tiverton’s Mike Gorman. “I have never been one of those people.” Gorman worked for 22 years in the Tiverton Fire Department. In 1998, Gormon was passed over for a promotion to chief, and he took it as a sign to move on from the department. “I loved the fire service; it was always my first love,” he says. But it was time for a change: acting on a longtime love of clocks, and having apprenticed with a clockmaker friend, Gorman headed to Texas and then Northern Virginia to work at a few clock shops, gaining the intense training necessary for the intricate, difficult work of clock repair. The shop has surpassed all expectations, with a year’s wait for full restorations. “I never expected the amount of work,” Gorman says, whose projects have included repairing a 1735 William Clagget Grandfather Clock at the Redwood Library in Newport. “It is incredibly rare that someone doesn’t walk in the door every day with a clock.” In addition to offering repairs, the shop sells traditional and modern clocks and gift items. Gorman hasn’t left his firefighting past completely behind him, however. When he hears a fire call on the house scanner, he and Brenda still hop in the car and chase the fire. May marks Nicki Tyska’s second anniversary as the executive director of the East Bay Food Pantry and Thrift Shop in Bristol. The former owner of the popular Hair, Heart & Soul Spa & Salon didn’t originally set out to work for a non-profit agency. After graduating high school in Bristol, Tyska attended college in Boston to study retail management, but returned home to care for her ailing grandmother who had raised her and her brother. “I remember going and hanging out at a friend’s hair salon and loving the environment,” she says. She graduated from hairdressing school and worked a few years in the industry before opening her salon in 1999, which expanded from a small shop to a larger space on State Street. After giving birth to two daughters a year apart and receiving a diagnosis of rheumatoid arthritis, Tyska sold the salon in 2004. As her daughters got older, Tyska started working in real estate, but she realized the industry was not for her. “I’m not afraid to try things, and I’m not afraid to say I don’t like something,” she says. It was a Facebook post that inspired her new career path. In 2010, the East Bay Food Pantry and Thrift Shop posted a call for volunteers to hand out Thanksgiving baskets. 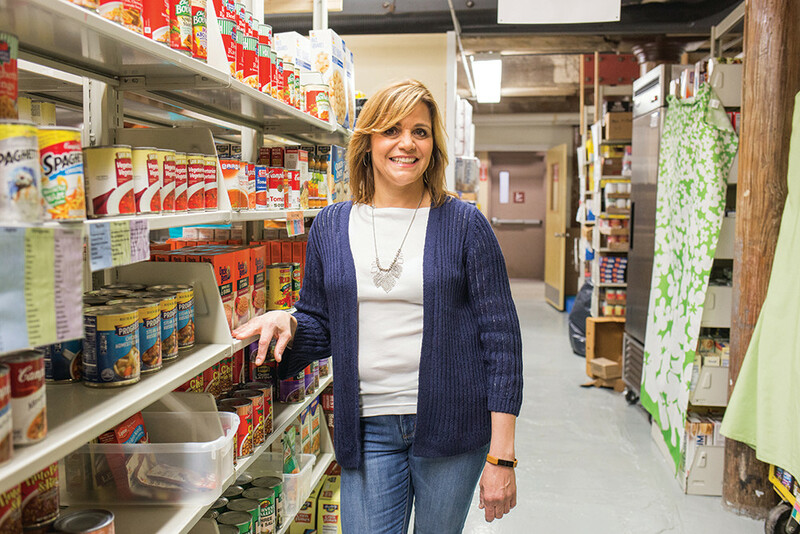 “Volunteering and spending time at the food pantry soon became my happy place,” Tyska says. She served as board treasurer, vice president, president, and at one point, had all three titles. When the position of executive director unexpectedly became available, She stepped down from the board and applied for the job. Personal trainer. Programmer. CrossFit Providence owner. 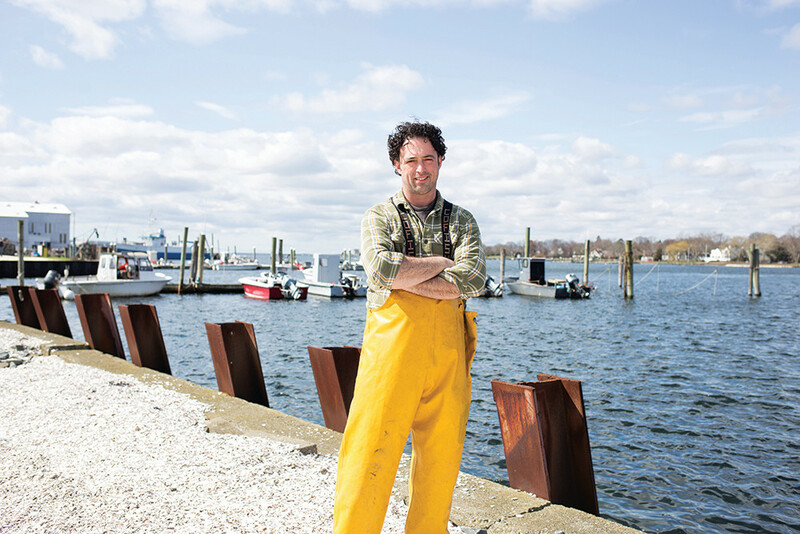 Josh Bird has recently embarked on his latest professional career, combining his lifelong interests in nature and physical activity: quahog fisherman. Being back on the sea isn’t completely foreign to the Warren resident and sailor; Bird spent five years living on his 32-foot sailboat on the Warren waterfront. Curious and entrepreneurial from a young age, Bird started building computers at age 15, then started his own small computer repair business. “I dig into books, teach myself, and then I just go,” he says of his learning process. Bird studied theater and business at Bristol Community College before leaving to work at Citizens Bank, where he advanced in six years from an entry-level position to data sourcing manager. While Bird enjoyed the cerebral challenge of IT work, he found it equally challenging to sit at a desk all day. “I need to move,” he says. “I had become a trainer in my early twenties and was very much that guy going to the gym, working out, playing rugby.” He learned about the emerging CrossFit concept, which uses elements from different sports to inform a range of exercises. Along with two rugby friends, he started CrossFit Providence. “We began it at Brown Street Park in Providence with weights out of our vehicles and a small website notice,” Bird recalls. People started coming to the sessions, then told their friends to come. The company kept growing, and the trio opened the first CrossFit facility in Rhode Island. After ten years, the owners sold the business this past November. While living on his sailboat Bird became friendly with Warren quahoger Mike D’Albergaria – or “Mike D” as he is known along the waterfront. Bird became intrigued in learning more about the quahog industry and was attracted to the physicality of the work. Two years ago he began an apprenticeship under his friend. “Mike taught me the right way,” Bird says. “He’s very technical but he’s also very big on gratitude. He would tell me, when you leave the ocean at the end of the day, say thank you and have gratitude for what it gave you.” That philosophy resonated deeply with Bird. 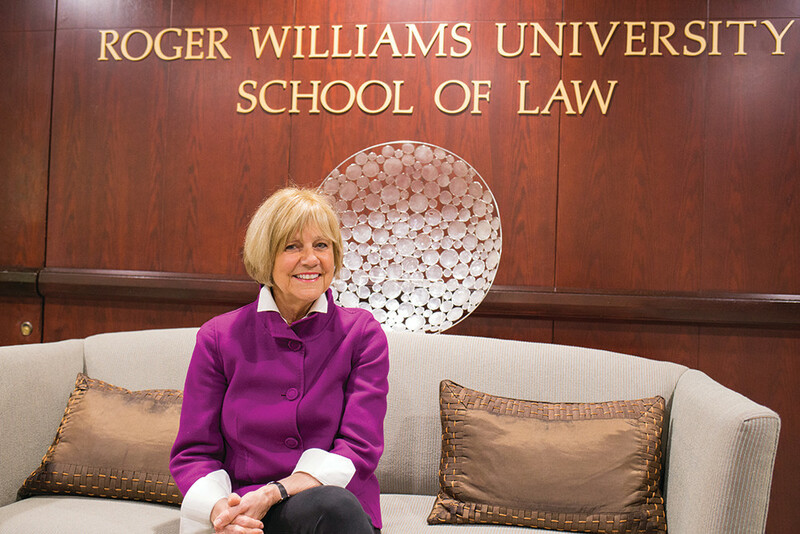 This spring, Barrington resident Melinda Thies will realize a long-held dream when she graduates from Roger Williams University Law School on May 18. After retiring as the Superintendent of the Bristol Warren Regional School District (BWRSD) in 2014, she took the extraordinary step of applying to and entering law school.